The upper image is the US Navy zeppelin Shenandoah (commissioned 1923, crashed 1925) with its dock ship Patoka. Source: Walter Thompson Company, “Le Bourget. Leather coat and beret by Lanvin. 1927.” Mid-Manhattan Picture Collection, New York Public Library, https://digitalcollections.nypl.org/items/510d47e3-b223-a3d9-e040-e00a18064a99. Photoshopped. The registry designations G-EBCZ and G-EBQZ don’t match this aircraft. G-EBOZ is Imperial Airways’ City of Wellington, an Armstrong Whitworth Argosy in service from July 1926 to June 1934. If they’re to continue bearing our consciousness through the restlessly changing universe, the forms of our knowledge will also have to change. The men of this image, for example, are enclosed in a form shaped for the knowledge of earth and water. Soon, but not yet, it will be reshaped for the knowledge of air. But not yet because the men don’t yet have a new name for their old form. They are still bound to earth and water by the old name, and they haven’t realized yet that the form’s impending ascent into air has left the name’s primary referent behind and reduced what is left to metaphor. The name is Gondola. On earth, Gondola signifies transit through narrow waterways in a city delimited by history and language. But when this gondola ascends through limit-disdaining air, the men it bears within will learn that it needs a new name. With that revelation, the renamed form will be changed. It will no longer be made of boat-wood and boat-rope and sailcloth, and so it will no longer have to be thought of as boat-shaped. The men in the image can’t yet speak the new form’s new name. They are still under tuition in the Venetian dialect of the old form, a dialect that includes the term gondola. But between the student Venetians and us an educational caption at the image’s front plane promises that the new name will, in time, be taught. If the men there on the other side of the caption won’t have time to learn it, at least we on our side have already been taught that it will be learned. For now, too, the caption teaches us something we can say in our own language about the language of the men in their gondola. It has to do with the limited time available for them to learn in, it’s in history’s own aesthetic form, and in that form it repeats once more history’s own unchangingly fascinating witticism: Little do they know. Source: The Miriam and Ira D. Wallach Division of Art, Prints and Photographs: Photography Collection, The New York Public Library. “Ausbildung von Zeppelin-Mannschaften an dem Schulschiff Hansa.” The New York Public Library Digital Collections. http://digitalcollections.nypl.org/items/510d47de-024d-a3d9-e040-e00a18064a99. Photoshopped. 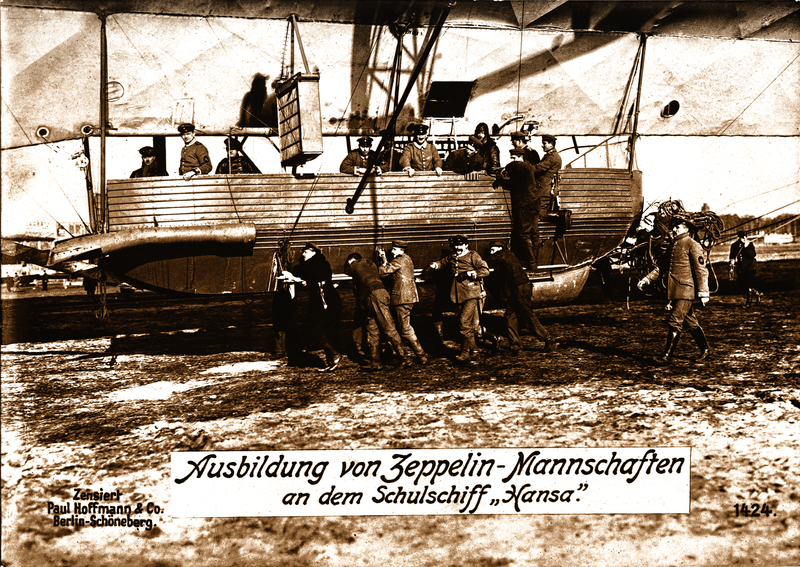 The caption translates as, “Training of zeppelin crews on the school ship Hansa.” Hansa’s period of service as a trainer (Wikipedia, “LZ 13 Hansa”) dates this photograph between early 1915 and August 1916. With many thanks to the New York Public Library for its newly released collection of restriction-free digital images. 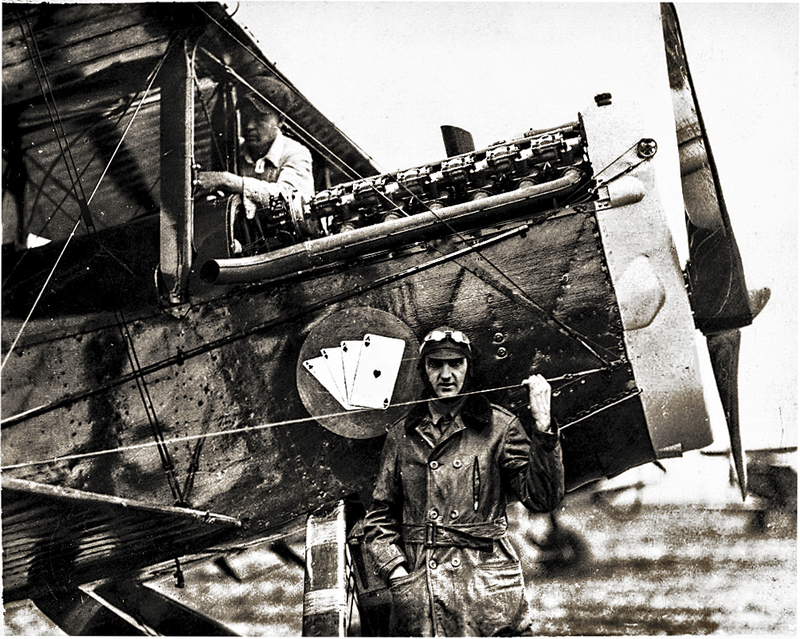 Source: Claude Grahame-White and Harry Harper, Our First Airways: Their Organization, Equipment, and Finance. Illustrated by Geoffrey Watson. London: John Lane, 1919. Photoshopped. With thanks to http://nemfrog.tumblr.com for the link. 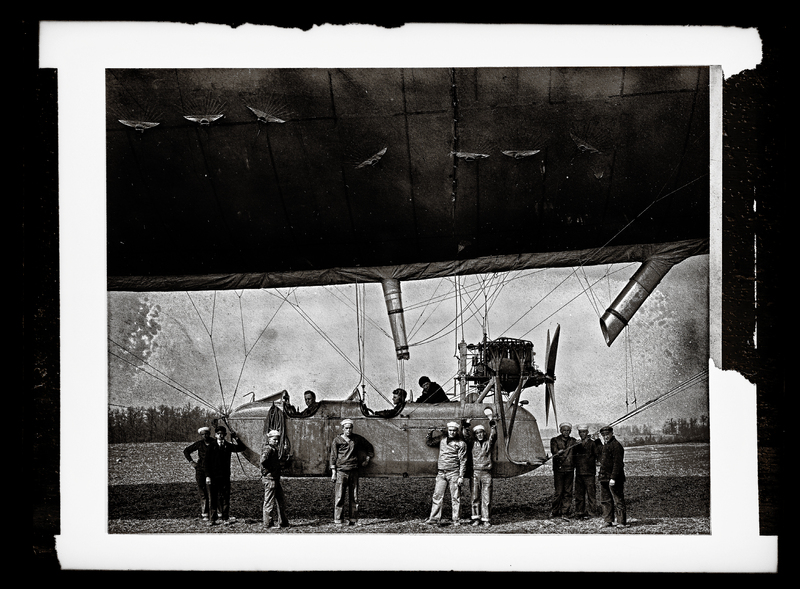 Source: “Group of men boarding an airship.” Detroit Publishing Company Collection, Library of Congress, http://www.loc.gov/pictures/item/det1994022864/PP/. Photoshopped. To form power into a lifting body, wrap it and your own body in cloth and animal skin. Source: “deHavilland DH-4B Kelly Field 1919.” San Diego Air and Space Museum Archives, catalog number 01_00093883, https://www.flickr.com/photos/sdasmarchives/23543473579/in/photostream/. Photoshopped.